Antonio Pinto, who oversees Chattanooga's Volkswagen plant and its 3,500-person workforce, says he sees a big difference in cultures when he compares America with Germany and some other countries where he has worked. In Europe, he says, people tend to stay employed with a company for long periods of time, even helping their children and grandchildren find jobs there. But in the United States, workers move around more from company to company, putting pressure on businesses such as Volkswagen to find and train qualified employees, says Pinto. * Employment: Joined VW in 1994; worked in Portugal, South Africa, Brazil, Mexico and now the U.S.
"That doesn't happen in Europe," he says. Still, says the local VW chief executive, the factory is finding the workers it needs, though it's "quite difficult" during this time of high employment. "And we have plans to hire in the future," he says. Pinto, the 54-year-old engineer who came to Chattanooga about a year ago, says the plant's best asset is its people. "Improvement in our plant is important," he says. "With people, we can do outstanding things." The native of Portugal came to Chattanooga after serving in Puebla, Mexico, where VW has sizable operations. There, Pinto was vice president of production at the plant that is the automaker's biggest outside of its factory in VW's hometown of Wolfsburg, Germany. While born in Portugal, he moved to France when he was age five. 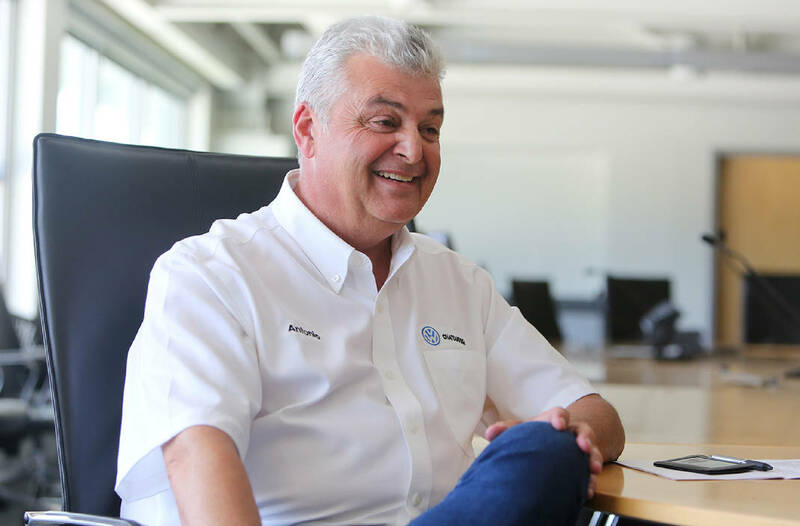 He studied electronic engineering in college and then returned to Portugal, eventually joining the Volkswagen AutoEuropa plant in Palmela, near Lisbon, in 1994. 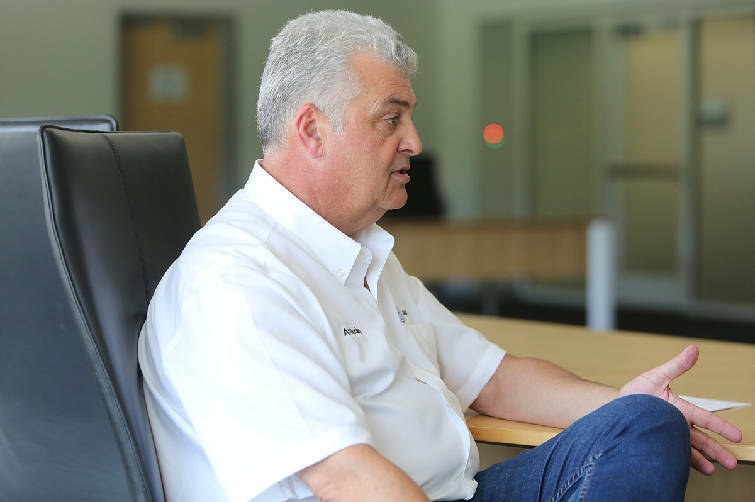 Pinto has moved around in a variety of management positions with the car company, also serving in VW factories in South Africa and Brazil. "I don't like to stay too much time in one place," he says. "One of my teachers taught me to move every three years maximum. You come, implement the way you think is the best way for the plant and the company in one and a half or two years. You collect the fruits." Pinto says he likes challenges, and he has had those during his stint so far in Chattanooga where he replaced Christian Koch as VW's CEO at the Enterprise South industrial park plant. He has overseen the production ramp-up of the seven-seat Atlas sport utility vehicle, a linchpin to VW's efforts to grow its sales in the United States. Also, the VW official says the plant is readying production next year of a five-seat version of the Atlas as well as the first full remake of the Passat sedan. "We have all the products to compete in the U.S. market," he says. However, somewhat worrisome to him is the potential of a disruption of trade due to possible future tariffs. "Sometimes we import things," he says. "We must have normal trade between countries. We want to keep our employment here." Tariffs "are not good for freedom of trade" between countries, Pinto said. Nevertheless, VW is committed to Chattanooga, he says. "We want to be one of the biggest [automotive] production plants in the U.S. and have market share like it should be compared to Toyota, GM and Ford," Pinto says. "We want to be similar to them."